Closeness at O’Leaver’s April 30, 2016. The duo plays tonight at Pageturners Lounge. If the first three paragraphs of the below story look familiar it’s because I lifted them from my 1999 interview with Goo Goo Dolls, which you can read online here. GGD’s Robby Takac was a very good interview way back then. He laid it all out when I asked why the band switched from being basically a pop-punk band to mainstream AOR alt rockers. The answer has something to do with selling millions of albums. Goo Goo Dolls play Friday night at Stir Cove. The first time I heard the Goo Goo Dolls was way back in ’92, after staying up late on a Sunday night to watch 120 Minutes on MTV. When the video for “There You Are” came on, featuring Goo Goo vocalist John Rzeznick doing his best Paul Westerberg-style crooning over a punchy, punky power chord, I was intrigued. It was the band’s first video, and pretty much summed up their indie punk-rock sound and style — three average Joes running around an empty Buffalo, New York, baseball stadium, smiling for the camera without a care in the world. But six years later, Goo Goo Dolls were a different band. Riding the success of their million-selling 1995 album, A Boy Named Goo, which featured the smash ballad, “Name,” Goo Goo Dolls went on to record the most played song on radio in 1998, “Iris,” the theme from the Nick Cage/Meg Ryan chick flick, City of Angels. It netted them three Grammy nominations and a first-class ticket out of the smoky punk bars and into sold-out arenas. With the release of their latest album, Boxes (2016, Warner Bros), the Goo Goos are trying to change course once again. 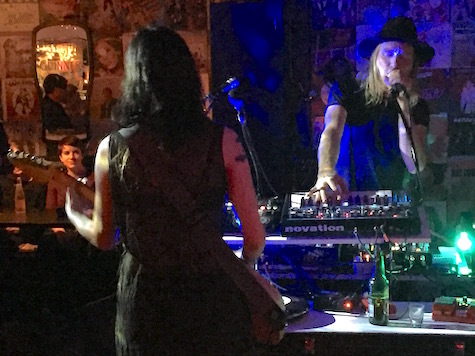 Rzeznik and co-founder/bassist Robby Takac hired a stable of writers in an effort to push themselves past their comfort zone. The product is a collection of king-sized alt-rock anthems that are a perfect fit for Stir’s Cove’s outdoor concert space, where the band performs Friday night. The completion of the song cycle you experience at live performances. Being away from my wife and daughter. They’ve all been perfect …. of course. 8. How did you pay your bills back when the band was just getting started? Worked at a flower shop, was a DJ, spent lots of time recording punk rock bands, was a barback & bartender, spent some time as a stage hand …. I would like to own a Pez museum. I wouldn’t want to be a cop. I was there once and it was so hot cows were exploding ….. no lie. 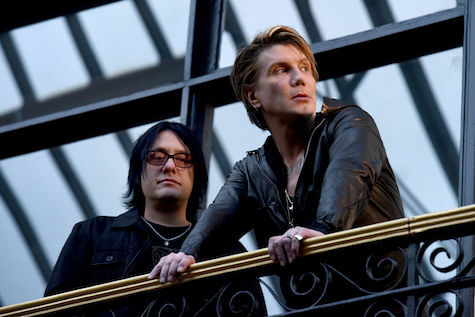 Goo Goo Dolls play with Collective Soul Friday, July 22, at Stir Cove, 1 Harrahs Blvd., Council Bluffs. Tickets are $43, showtime is 8 p.m. For more information, go to facebook.com/StirCove. Saddle Creek is squeezing every last penny out of its back catalog with the release of a new six-record Bright Eyes box set. Remastered by legendary sound engineer Bob Ludwig, the box includes Fevers and Mirrors (2000), LIFTED or The Story Is in the Soil, Keep Your Ear to the Ground (2002), I’m Wide Awake, It’s Morning (2005), Digital Ash in a Digital Urn (2005), Cassadaga (2007) and The People’s Key (2011). That’s six albums on 10 LPs housed in tip-on jackets, including digital downloads of each album. The vinyl box set exclusives include colored vinyl, twelve 8×10 photo prints by Butch Hogan, and an essay by Nathaniel Krenkel. The vinyl box set is limited to 5,000 copies and includes all 10 LPs housed in a foil stamped linen-wrapped box. Price, a cool $150. You can pre-order now, release date is Sept. 16. Look for black vinyl individual copies of each remastered album available in November. Saddle Creek is also offering a CD box of the same albums limited to 1,000 copies, also out Sept. 16. It costs a mere $60 a box. The new Todd and Orenda Fink ambient rock project Closeness performs tonight at Pageturners Lounge. Here’s a review of their O’Leaver’s debut. It’s definitely worth your while to see and hear them. Ridgelines opens the evening at 10 p.m. and the ‘nice price’ is absolutely free. Also this evening, if you missed Navy Gangs last night at Milk Run, the band plays again this evening at Almost Music in the Blackstone District. Joining them are Staffers and Sean Pratt & The Sweats. This early 7 p.m. show will cost you $5. Also, Coneflower Creamery will be on site serving their home-made ice cream. Yum!